New research from The Furniture Recycling Group (TFR Group) has revealed that 646,039 fly-tipping incidents were recorded in just five cities since 2013. TFR Group’s findings show that Liverpool is the worst-offending city per person, with 74,909 incidents recorded since 2013, while Leicester and Sheffield placed second and third respectively, with data showing that one in 13 people (nine per cent) in each city have fly-tipped waste over the last five years. TFR Group’s research found that mattresses, of which TFR Group recycles 338,000 a year, posed a particular problem, representing 13 per cent of all waste dumped illegally since 2013 in 10 major UK cities – equating to 60,000 mattresses. In Birmingham, residents are no strangers to the problem and the city has earned the title ‘mattress mountain’, with one in four fly-tipping incidents over the last five years involving a mattress, and almost 15,000 tonnes of bulky waste discarded onto its streets and other areas. In fact, Birmingham was the worst offender for dumping mattresses on the city’s streets, parks and beauty spots. Although not listed as one of the worst offending cities in terms of fly-tipping incidents per person, Manchester still saw a staggering 91,115 fly-tipping incidents reported over the last five years, making it one of the worst cities for the sheer number of incidents. In fact, 30,000 tonnes of household waste, including nearly 10,000 mattresses, have been fly-tipped in the Greater Manchester area since 2014. “While these new financial penalties will deter some fly-tippers, the current waste charges set by local councils is partly responsible for the increase in fly-tipping. Many UK councils now charge a fee to collect bulky items such as sofas and mattresses from residents. Nick added: “We’re also calling on the government to do more to ensure that designers, manufacturers and retailers take into account the end of life of their products, such as mattresses. This will go some way to reducing the amount of fly-tipping we see across all parts of the country and ensure the end of a product’s life is simply the start of a new one. Nick Oettinger, director of TFR Group. The unsustainable levels of fly-tipping have led to calls to increase support for local authorities to deal with the blight on the UK’s streets, with waste crime as a whole costing the waste industry and taxpayer around £600 million a year. Previous research commissioned by Manchester-based start-up Dsposal found that Greater Manchester experiences nearly 144 incidents of fly-tipping every day, while Mayor of London Sadiq Khan was urged last year to tackle the growing problem of fly-tipping in the capital after incidents increased by 14 per cent in 2016/17. 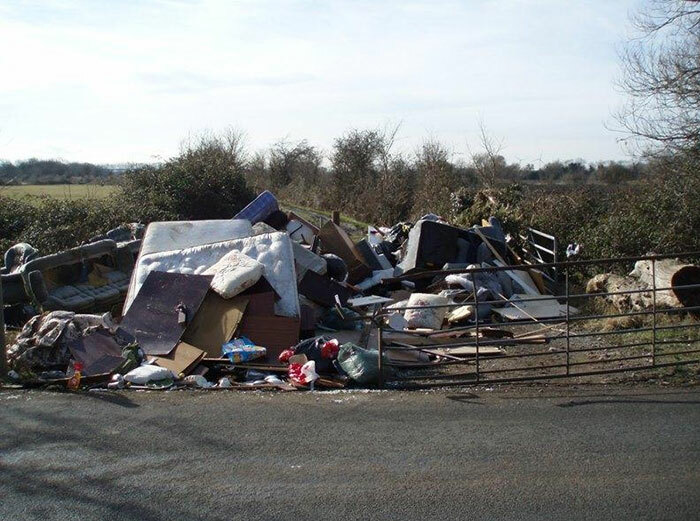 Government policies have been implemented in a bid to address fly-tipping over the past year or so. Often, waste will by fly-tipped by unlicensed waste carriers, and so the government has given local authorities the power to fine householders whose waste ends up fly-tipped, whether by themselves or by an unlicensed carrier, with possible fines going up to £400. Meanwhile, the Resources and Waste Strategy, released in December, made a number of commitments to tackle fly-tipping and waste crime in general, including the electronic tracking of waste movements and increasing Environment Agency powers to regulate the waste industry. A London Assembly Member has called on Sadiq Khan to take action on waste, claiming that fly-tipping in the capital has ‘reached crisis point’.